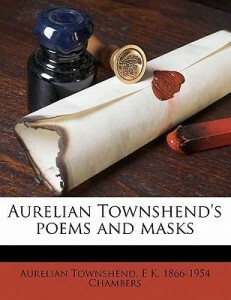 Born around 1583 in the town of Dereham Abbey in the heart of Norfolk, Aurelian Townshend was noted for his plays and poetry and was a later influence on 20th Century writers such as T S Eliot. Not much is known for certain of his early life, including his exact date of birth, but Townshend was thought to be one of two children born to John Townshend. He was from a reasonably well-off family as one of his cousins was Sir Roger Townshend who was noted for fighting during the Armada in 1588 where he received his knighthood. Another relative was the historian Heyward Townshend who was also a Member of Parliament in Shropshire for some time. Townshend himself grew up in a time of great unrest that would eventually culminate in the English Civil War and the beheading of the king, Charles I. He became known as one of the Cavalier poets and was a staunch supporter to of the king, along with the likes of Robert Herrick and Thomas Carew. Compared to other writers of the time, Cavalier poets wrote less on subjects such as religion and philosophy and were more concerned with promoting the crown and denigrating opposition such as the Roundheads. Townshend’s major triumph was to come much later in life when he wrote the masque Tempe Restored which was performed in the royal court in 1632 and featured an appearance by the queen herself. In earlier times, his education was initially overseen by the Earl of Salisbury, Robert Cecil, who was keen to see that the young Townshend tasted all that Europe had to offer, sending him abroad where he learned to speak French and Spanish fluently. Most of what we know about him comes from the poetry that remains. His verse is considered formal, even for the time, but has a lyrical quality such as in the poem Kind and True which is perhaps one of his more memorable works. T S Eliot himself was fond of the musical quality of Townshend’s work and many critics believe that he would have had a sizeable influence on the more well-known politician and poet Andrew Marvel. Townshend was already considered a competent writer by the time he was in his twenties and had forged a friendship with theatrical designer Inigo Jones for whom he acted as librettist. About this time he also became associated with another Cavelier poet, Thomas Carew, and began writing his own verse. Townshend gradually rose to the height of writing a masque for the king and queen but this pinnacle of success was short lived. Although it is not certain how, Townshend managed to accrue a number of debts and the next we hear of him, he is appearing before Parliament asking help to ward off his creditors. He was also struck down by a disease though few details are known beyond that he was ‘suffering from the pox’. By the time that the English Civil War began in 1642, Townshend was already in his sixties and plagued with ill health. Townshend died a few short months after the king, Charles I, was beheaded in 1649.